National Investigation Agency (NIA), which is probing the Pulwama attack, has come up with another evidence to prove Pakistan’s hand in the terror attack. NIA is suspecting that the RDX and the ammonium nitrate, which were used in the explosives were brought in from Pakistan. According to top sources, the investigating agency suspects further that the RDX was sent to India with the help of Pakistan Army because the plastic explosive was of military grade and that was the only way it could be brought through the borders. Moreover, the agency believes that Inter-Services Intelligence (ISI), Pakistan’s military intelligence agency, and the country’s army sponsored the RDX. It was probably sent through a bunch of six odd terrorists who entered into India last year via Jammu border. The NIA sources claim that the Pakistan-backed Jaish-e-Mohammed handed over explosives to their local handlers operating in Srinagar like Mudasir Khan and Shahid Baba. An explosive and weapon expert was called to train terrorists for fidayeen attacks. Meanwhile, the local police of various states including Delhi and Jammu and Kashmir, are questioning youths who hail from Pulwama but live in different cities of the country. Intelligence Bureau has already questioned four people residing in Delhi, but could not establish anything. Moreover, Jammu and Kashmir Police were asked to prepare a list of youths who have left Pulwama in last six months. This is because the suicide bomber Adil Ahmad Dar who carried out the Pulwama attack had left home to join militancy. Cops have been asked to get local intelligence report regarding carriers who are suspected to live in Srinagar. 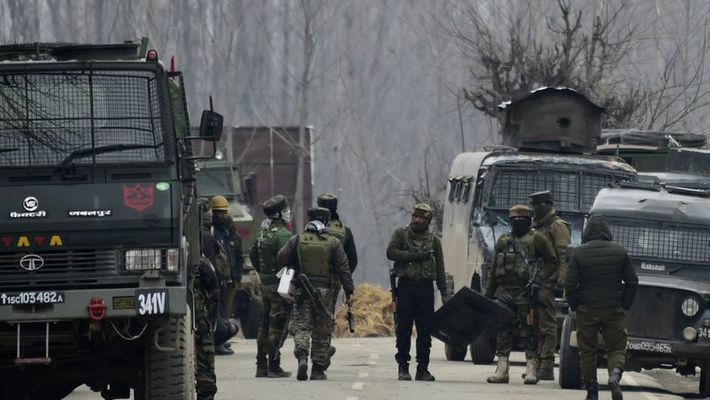 Sources have confirmed that more than 20 terrorists, including carriers and explosive experts, played different roles in preparing for the Pulwama attack. On February 14, a JeM suicide bomber rammed an SUV car with 350 kg of explosives into a security convoy of 78 vehicles carrying over 2,500 personnel in Pulwama district of Jammu and Kashmir, killing at least 40 jawans. Most of them were returning to duty after spending their holidays in their respective destinations.